Twin-wall Solexx paneling reduces your heating costs while providing 100% diffuse light to your plants. 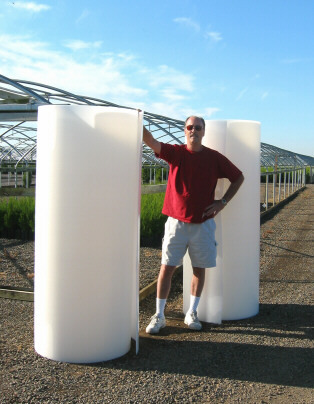 The strong shatter-proof glazing protects your crops from harsh weather conditions without cracking or discoloration. The flexible Solexx glazing ships in rolls to save money on freight and the material can be bent around corners and over roof peaks for a perfect seal. Solexx can easily be cut to size with a straight edge and a sharp utility knife. 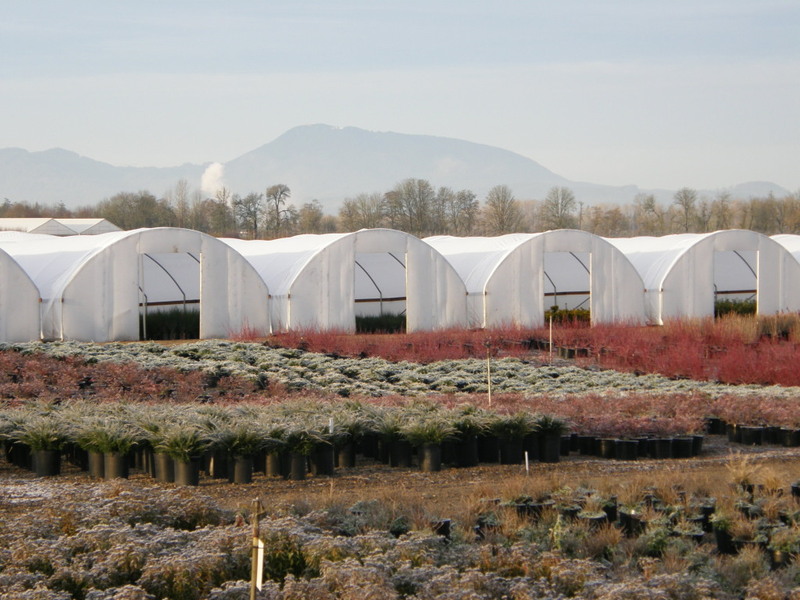 Perfect for commercial greenhouse structures to cover endwall, sidewalls or to recover the enitre greenhouse. R-Value - the measurement of ‘insulating ability’ of the material. The higher the R-Value number the greater the insulation value. U-Value - the measurement of ‘heat loss’ through the material. The lower the U-Value the less heat is escaping. Independent testing, Solexx™ with caulked flutes. 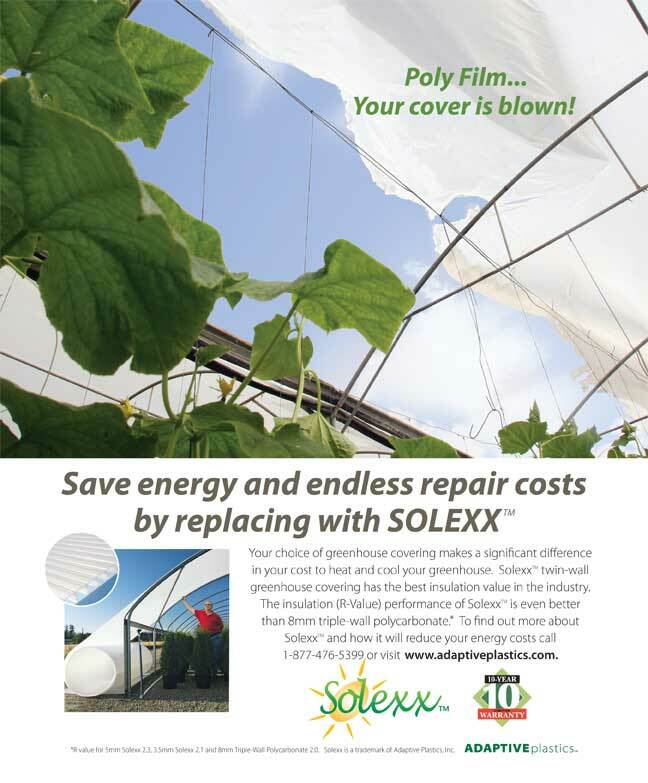 Tired of endless repair and replacement of polyfilm? Swithch to Solexx and save energy and repair costs. See a return on investmet in 2 to 3 years!